Unravel the gripping story of the Phantom at a Venetian opera house! Your cousin Edward has suddenly disappeared. Now you are the only one who can travel through the famous operas like Madame Butterfly, The Marriage of Figaro and La Traviata to find him. Start playing Mystery of the Opera® and immerse yourself in the dramatic struggle of opera impresarios, stage managers and singers as you reveal the dark forces behind your cousin’s disappearance! Plus, more famous operas, characters, quests and levels are coming in regular updates that are absolutely FREE! Mystery of the Opera®: The Phantom's Secret © 2017 - 2019 G5 Holdings Limited. Published by G5 Entertainment AB. 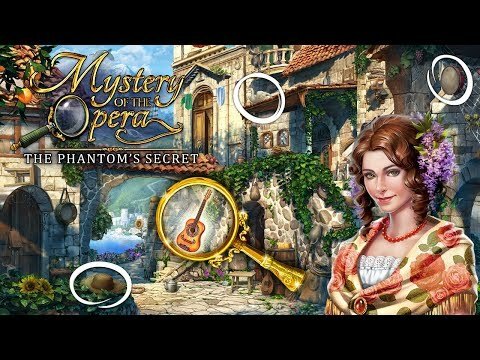 Mystery of the Opera®: The Phantom's Secret, G5 Games and G5 Entertainment are registered trademarks of G5 Entertainment AB.